I’m on holiday and so no Frenetic Friday this week. I might have something Saturday. So I was on Facebook and one of my friends did what he normally does and posted a one word post. Based on that word we posted songs containing that word. See if you can guess the word. Don’t go to this movie if you want cerebral discussion on foreign policy or the angst of growing old. Go watch 2016 or the bucket list. No there is one thing this movie is about and that is body count. This the wrecking crew of all wrecking crews and they are determined to leave no bad guy alive. Most of the original cast of the first movie is back although Jet Li leaves fairly early in the movie to be replaced by a female version of him. (Actress Nan Yu). Also along for this ride is Liam Hemsworth the younger brother of Chris Hemsworth the actor who played Thor in the Avengers. Liam plays Billy the kid the sharpshooter of the group who wants to leave the group because he’s tired of killing. Stallone and crew are once again employed by Church (Bruce Willis) to get what should be a simple retrieval of some classified documents from a wrecked airliner. But this of course isn’t the case rather Billy gets captured by the villain of the movie Jean Claude Van Damme aptly named, of course Villain. The movie predictably kills the “one person who had something to live for” sending the rest of the team into the Romanian countryside to look for Villain and his crew. Along the way Norris, Schwarzenegger, and Willis appear deux ex machina just in time to save Stallone and company when it looks like they are trapped. And to trade some quips about other movie roles. Norris even does one of the infamous “Chuck Norrisisms”. Expendables 2 is a tongue in cheek homage to 80’s action heroes. And in regards to that it is fun but because of the violence in this and the profanity it isn’t for anyone but adults and even then only for those that enjoyed the action heroes of the eighties. Jeremiah 10:10 But the LORD is the true God; he is the living God, and the everlasting King. At his wrath the earth quakes, and the nations cannot endure his indignation. 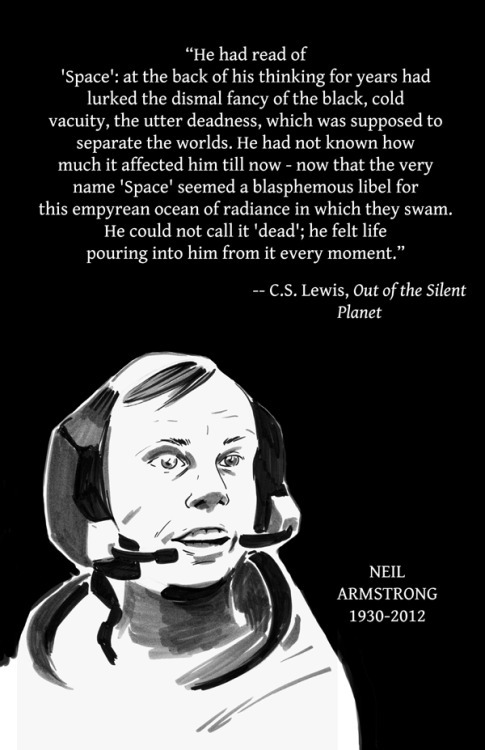 Neil Armstrong requiescant in pace. April 26, 2012 Portland Oregon, Mars Hill Church vandalized by group labeling itself “Angry Queers“. August 23, 2012 53 year old Daniel Samo of Conneticut plead guilty to sending 300 messages threatening Peter Wolfgang executive director of Family Institue of Connecticut. Who are the real haters again? 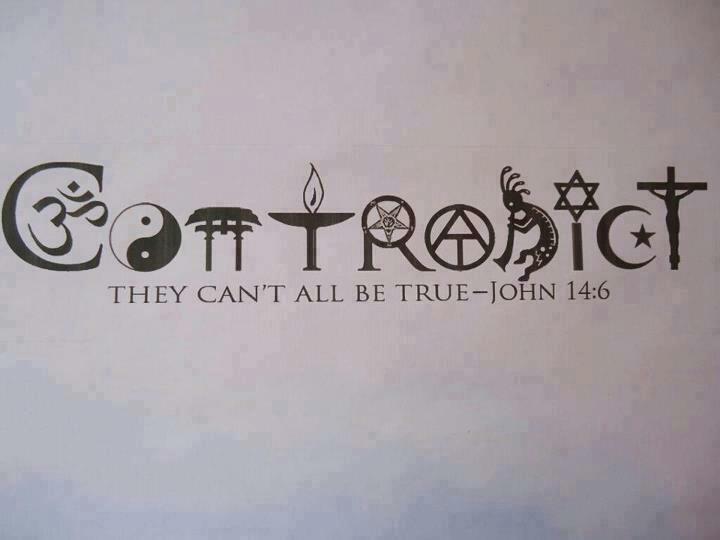 OK I saw this graphic on Facebook and I loved it I believe it is a more accurate statement than similar ones. Ex-Nebraska women’s hoops star faked anti-gay attack. Joseph Baken claimed anti-gay attack when actually sustaining facial injuries when failing to perform back flip. And in news from Canada it appears that walking your dog near a group of Muslims can get you into a lot of trouble. What really hits my nerves on this story is this particular line right here: “Remember, please, that there are taxi drivers who will refuse to take blind passengers with seeing eye dogs.” Now think of returning vets who have service dogs. They are denied a ride because the dog which helps them cope with their PTSD is unclean. And now for news in science: have you ever been accused of being full of hot air. Well how about a car that runs on compressed air. Those speeder bikes were so cool. So much so that a company named Aeroflex decided to make one. And last in our science section a little something regarding the coming robot apocalypse. Researchers at Harvard have developed a crawling robot that can quickly inject pigment into it’s body to blend into the background and make it practically invisible. Now you won’t even see them coming for you. Switching to politics, sometimes a picture just says it all. Norman isn’t a normal kid. He has the normal problems that most eleven year olds have, his hair won’t stay combed. His ears stick out like car doors and he’s smaller than many of his peers. No Norman has a unique problem he sees and talks to the dead. Not that anyone believes him. His Dad is exasperated with his “nonsense” and blames his mother. His mom doesn’t believe him either but she wants support her little man. Mean time Norman does his normal walk to school talking to people who aren’t visible to the other people. Petting the ghosts of road kill. Getting strange looks from people no matter where he goes. Not that this town is normal, this is Blithe Hollow, a New England town whose biggest claim to fame is that during the time of the puritans they hanged a witch. Something they celebrate every year. Meanwhile at school Norman goes through the normal tormenting that comes from being different including dealing with a microcephalic bully who targets him every day for special treatment. It is at school that during a play about the witch hanging that Norman gets a vision of being chased through the woods by Puritans. But besides Norman’s one friend an overweight kid who gets picked on too there is one person who completely understands what Norman is going through: his uncle Mr. Penderghast. He also sees and talks to ghosts and he has a secret that he needs to share with Norman regarding the curse that the witch has put upon the town. ParaNorman was done by the same studio that did Coraline. It is stop motion and the production quality is great. I saw this in 3D and the effect was remarkable the only thing I didn’t like was the glasses they handed out. Now for the bad news I really can’t say that ParaNorman was a great movie. Like most movies aimed at kids ParaNorman has a message. (Don’t miss the message!) Bullying is wrong. Which is true, but ParaNorman makes sure you know who the biggest bullies are right off: the Puritans. Yes those narrow-minded religious bigots known as the Puritans. So what does ParaNorman teach? Religious people are the biggest bullies of them all. And it goes out-of-the-way to pander to the politically correct crowd. I’m giving ParaNorman one and half stars out of four. A. God is a Spirit, infinite, eternal, and unchangeable in His being, wisdom, power, holiness, justice, goodness and truth. Psalm 147:5 Great is our Lord, and abundant in power; his understanding is beyond measure.